AFL Grand Final day! One of the great days of the year and this review is an apt start to proceedings, even more so since Collingwood is one of the contenders for the 2010 AFL premiership flag. It is said that Melbournians have a Sherrin for a soul. Side by Side: In the Beginning gives an insight as to why. 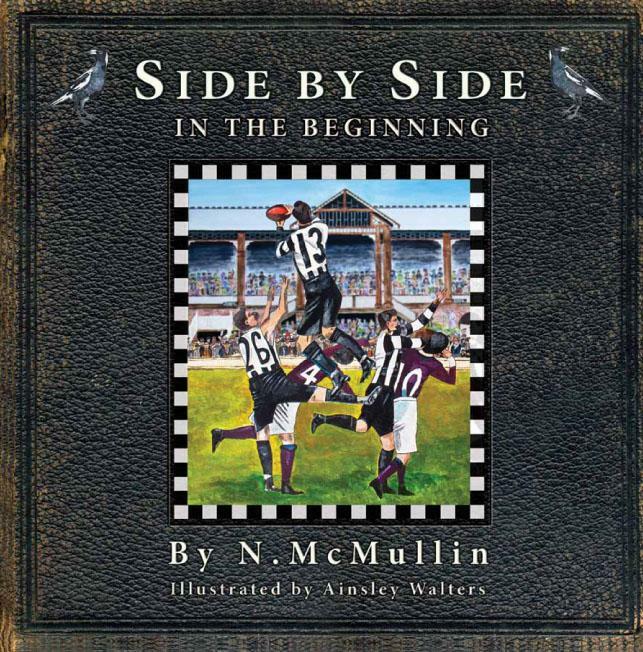 Side by Side is a chapter book of the early years of Collingwood Football Club, arguably the most famous of all the Australian Rules football clubs, and one of the original founders of the Victorian Football League. In 1916, eight-year-old Charlie climbs on the roof of a friend's cottage with his father to watch his first ever football match. As the game is played, Charlie's father inducts him into the history of Collingwood and some of its great players. Along the way, the reasons for the tribal loyalties and hatreds (which are still firmly entrenched within Australian Rules) as well as some social history of early twentieth century Melbourne, are revealed. There is a glossary of terms and Australian colloquiallisms that some readers may not have heard as well as historical facts about Collingwood and some of its remarkable players from formaton until 1926. The design of Side by Side is outstanding. The cover is like an old leather photo album and each double spread is edged in black-and-white, the colours of the Collingwood Magpies. Some pages are presented scrapbook style with memorabilia and photographs. Others include Ainsley Walters' bold and colourful illustrations of Melbourne and football matches. 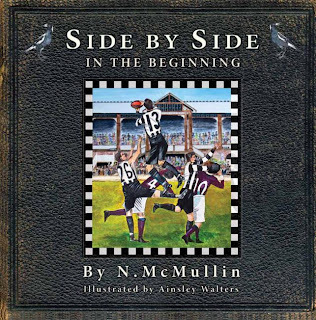 Collingwood fans will love this book but even if you hate Collingwood (as it is almost compulsory to do if you don't barrack for them) footy fans will find much of interest about their game in Side by Side.